Plaza Medical currently has Two (2) Doctors. All of our doctors have specialist qualifications in General Practice (Fellows in the RACGP). We are also a training practice for doctors who are completing their specialist training in General Practice. We often have medical students, nursing students and midwifery students that come to Plaza Medical to gain more experience in the field of general practice, obstetrics and practice nursing. Dr Sterry trained at the University of Western Australia, completed her Specialist training in General Practice, Rural and Remote Medicine, an Advanced diploma in Obstetrics and a Masters in Women's Health medicine. Dr Sterry does antenatal care, including dating, 3D ultrasound, postnatal care. She has admitting rights at Kalgoorlie hospital for advanced obstetrics care including normal deliveries and Caesarean sections. Dr Sterry is a Senior lecturer for the University of Western Australia Rural Clinical School and is currently doing a study on Gestational Diabetes. She is also currently completing her Masters of Reproductive medicine. She has a special interest in Obstetrics and Womens Health. Dr Joanna Keen trained at the University of Melbourne and is a specialist of the Australian College of General Practitioners. She also holds an advanced diploma of obstetrics and gynaecology. Dr Keen does general practice, antenatal, obstetric ultrasound and postnatal care. She has admitting rights at Kalgoorlie Hospital for deliveries and Caesarean sections. ​She has a special interest in Womens and Sexual Health. Dr Ward is our General Practice Registrar. Having already worked in the Goldfields for over a year Dr Ward comes to Plaza with experience in women and children's health, chronic disease management and aboriginal health. Dr Ward is currently on leave from Plaza. Kasia is a registered nurse who passion is for general practice nursing. She is keen to help you manage your general health. Come and see her for your diabetes checkups, blood pressure, health checks and immunisations! Bryony is an enrolled nurse who is studying currently to be a registered nurse. She is keen to help you with your blood pressures, dressings and general health needs. You may be called in to have your medical record updated and she can also assist in the preparation of your shared electronic health record if you are interested. 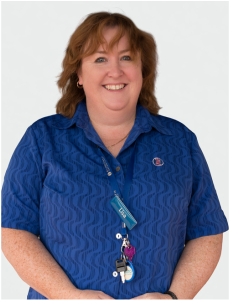 Tina is an enrolled nurse who is working part-time at Plaza. Tina can help you with your blood pressures, dressings and general health needs. You may be called in to have your medical record updated. Louise is our part time midwife and registered nurse. Come and see Louise on Tuesdays and Fridays for your antenatal or postnatal checkups. Libby is our part time midwife. Come and see Libby on Mondays for your antenatal or postnatal checkups. Robyn is our part time midwife. She also works part time in our reception. Come and see Robyn on Thursdays for your antenatal or postnatal checkups. With over 20 years experience in the medical field, Kerrie comes with lots of experience. about your appointments, records or service please see Kerrie. Robert is Plaza's business manager responsible for the behind the scenes development. If you have any suggestions on how we can improve our business to better cater for you or you loved ones please contact Robert. Clinipath have a collecting service at Plaza Medical. Lisa is our local collector. She is at Plaza 8-1 and 1.30-3 Monday to Friday.